The thirteen emerging and mid-career contemporary artists in Yearning Upwards come from several areas of the United States including New York, Philadelphia, Boston, Maine and Washington State. Exploring trees, either directly or as source and inspiration, their approaches range from expressionistic to naturalistic to abstract, from illusionary perspective to flatness, from layered patterning to atmospheric space. Each of them displays a deep and personal connection to the tree. Artists include: Avy Claire, Ryan Cobourn, Fletcher Copp, Brian Cypher, Deborah Freedman, Michael Goodwin, Doug Holst, Eric Holzman, Kerry Law, Patrick Neal, Susan Post, Marilyn Turtz, Rachael Wren. 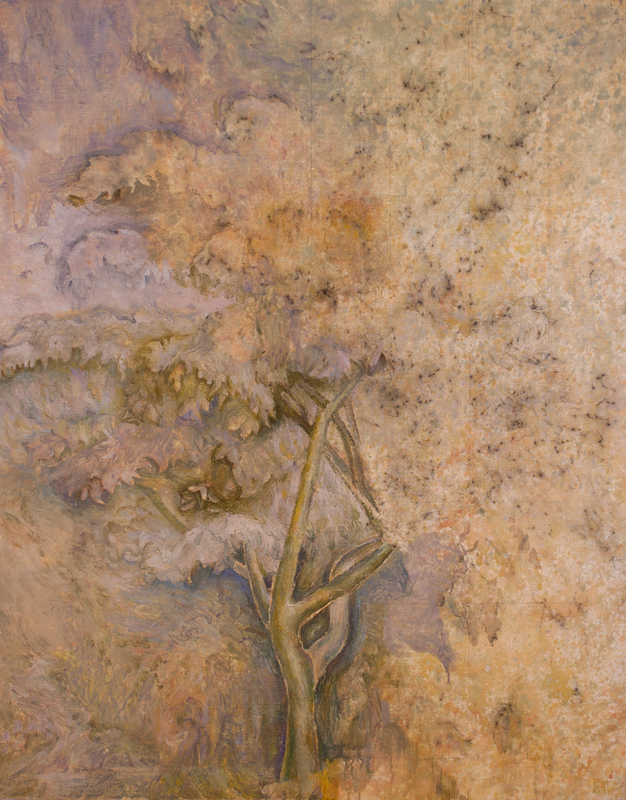 Sue Post and Rachael Wren represent the “purely” abstract painters in the exhibition whose work, like Mondrian’s, originated from observations of trees; in Wren’s work becoming shimmering evocations of light and color, and in Post’s, distillations of the vertical tree in the horizontal landscape. In Brian Cypher’s strongly colored oil stick drawings, repeated shapes branch outward from a central mass in work inspired by his native Washington and referencing the art of visionary artists as well as modern traditions of nature based abstraction. Informed by these traditions as well, in vibrant abstract paintings reminiscent of stained glass, Doug Holst’s work embodies his notion of trees as “visual manifestations of the human soul”. 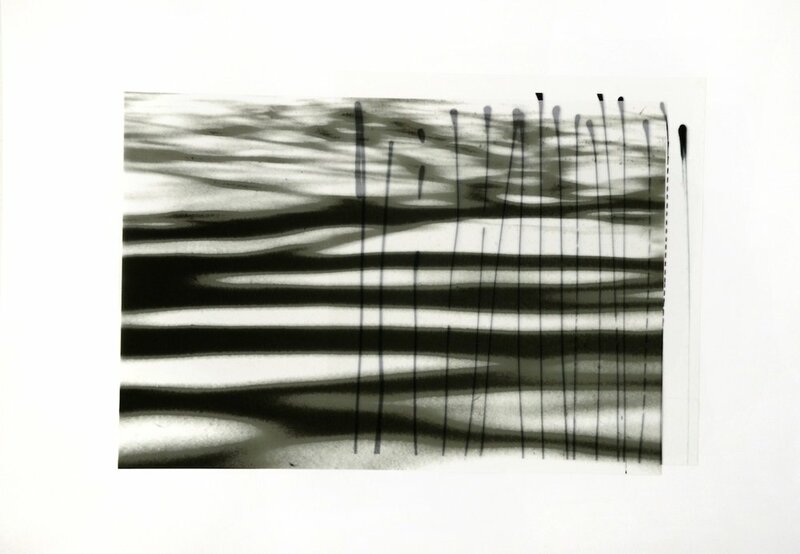 Avy Claire creates poetic and elusive images of tree and shadow in mixed media works on mylar. Ryan Cobourn’s trees are wildly painterly, tree and space created by and mutating in layers of brushwork. Kerry Law’s plein air wooded landscapes are suffused with air, light and delicate color. Deborah Freedman presents work expressionistic in its paint handling, with bold strokes of color, simplified form and a sense of contained emotional energy. Fletcher Copp builds his painted, rough, bold and sometimes disturbing trees with wood and found objects in three dimensions. The surfaces of Eric Holzman’s paintings glow with burnished layers of paint; trees are formed and dissolve into the space around them which is as alive as the trees themselves. Patrick Neal explores a much-loved spot in New Lebanon, New York, returning again and again to paint muscular and towering trees in a domesticated landscape vulnerable to the destructive forces of nature. Marilyn Turtz homes in on the tree in the landscape in images with strong shape and color and an exquisite touch. Michael Goodwin too works on a small scale; color, light and the expressive brushstroke are the key elements in his intense and atmospheric landscapes. The work in Yearning Upwards may be seen as part of the romantic tradition, an expression of the feeling of transcendence nature can impart. But the air and light we reach for is not only symbolic of the sublime; it is necessary to our lives. We identify with the tree in its rootedness to the earth, and also its vulnerability. This exhibition was made possible by the generous support of the Wolf Kahn and Emily Mason Foundation.